Kim leads our Therapeutic Interventions team and is acting manager of our counselling services. She has worked for CAIS as a therapeutic interventions nurse since 2008, taking the lead role in 2017. The post covers the Flintshire and Wrexham area. Kim started her career with CAIS as a student nurse in Hafan Wen detoxification unit, and volunteering at the Soup Dragon for the Wrexham Young Persons' Project. Kim’s background is in nursing, and she has experience working in elderly care, and with people with learning disabilities and challenging behaviour, functional mental illness and substance misuse. 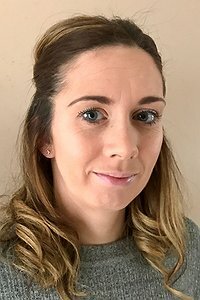 She holds Bachelor of Nursing (mental health) and FdA Substance Misuse degrees and is currently completing an ILM Level 5 in Leadership and Management Development.